THURSDAY, Sept. 22, 2016 (HealthDay News) -- An experimental DNA-based vaccine protected monkeys from infection with the birth defects-causing Zika virus, and it has proceeded to human safety trials, researchers report. "The vaccine universally elicited antibodies from all primates, but for the animals that got a full dose of vaccine, 17 of 18 were protected from infection," said study co-author Ted Pierson. He is chief of the Viral Pathogenesis Section at the U.S. National Institute of Allergy and Infectious Diseases. Based on these findings, researchers have begun clinical safety trials in healthy human beings, Pierson said. These trials will show whether the vaccine is safe in humans, and whether it prompts an immune system response as it did in monkeys. "When a vaccine is effective in a lower primate species, it is a good signal that it will be effective in humans," said Dr. Amesh Adalja, a senior associate at the University of Pittsburgh's UPMC Center for Health Security in Baltimore. "The NIH vaccine candidates have cleared an important hurdle, and we are awaiting results from phase 1 human studies." Zika is the first mosquito-borne virus known to cause terrible birth defects, most of them brain-related. The most common defect is microcephaly, in which a child is born with an abnormally small brain and skull. Thousands of babies have been born with Zika-linked microcephaly, most of them in Brazil, since an outbreak began in South America in April 2015. Zika infections have been occurring in south Florida, with 43 cases as of Sept. 21, according to the federal Centers for Disease Control and Prevention. There have been no reports of microcephaly in the state. Because of the ongoing transmissions, a Zika vaccine is important to prevent future birth defects, Adalja and Pierson said. This potential vaccine contains a piece of DNA created synthetically in the laboratory from the Zika virus, Pierson said. When introduced into the body, the DNA causes small virus-like particles to be secreted from cells, Pierson explained. These particles are not full-fledged Zika, but are similar enough to the virus that the immune system might produce an antibody response that will also protect against Zika. "This kind of vaccine, which we call a DNA vaccine, there's precedent for this," Pierson said, noting that similar technology was used years ago to create a candidate vaccine for West Nile virus. To test the potential effectiveness of the Zika vaccine, researchers provided a single dose to six rhesus monkeys and two shots to 18 monkeys. None of the monkeys that received a single dose was protected from Zika infection, but the vaccine did appear to create an antibody response, the researchers found. Their blood contained less Zika virus than animals who did not receive the vaccine. The two-dose vaccine series protected 17 out of the 18 monkeys against exposure to Zika, and provided researchers with an idea of how much antibody response is needed to protect against infection. "The DNA vaccines leading the way in the Zika vaccine rush are an important innovative development, and would represent the first commercially available DNA vaccines if proven to be effective and safe," Adalja said. This vaccine could protect fetuses against Zika by creating an immune response in pregnant women that prevents a full-fledged viral infection, Pierson said. The vaccine is not expected to cause Zika-like birth defects itself, because it does not cause Zika infection. "The reason why there are Zika-associated neurodevelopmental defects is because the virus is actually infecting the fetus and attacking developing neurons in the fetus, causing direct harm," Pierson explained. "The neurodevelopmental defects are a result of what the viral infection is doing, not a result of the body's immune response." It's unclear when this or some other Zika vaccine will be available for use. Any vaccine candidates will have to be tested during a future Zika outbreak, to see whether it is able to protect people against active viral transmission, Pierson said. 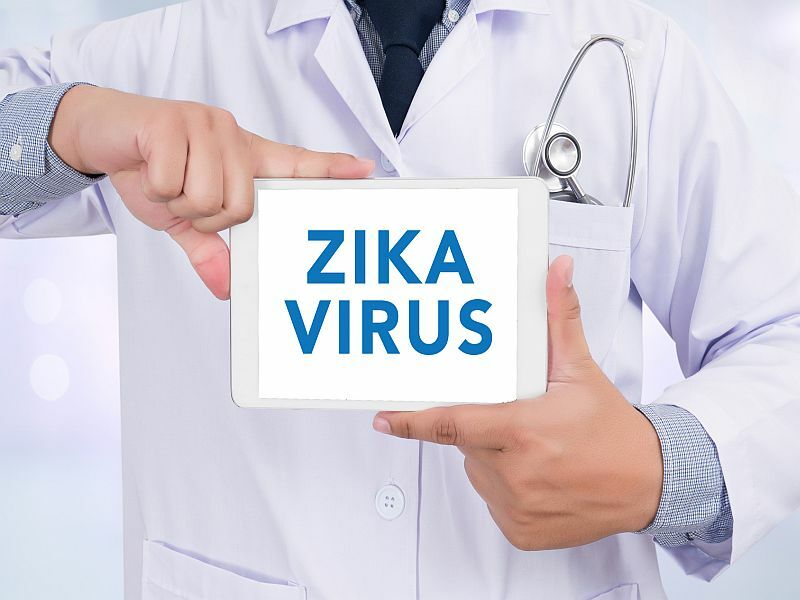 Adalja added that other potential Zika vaccines are in earlier stages of development, including an inactivated virus approach at Walter Reed National Military Medical Center in Bethesda, Md., and RNA vaccines under development by two private companies. The findings on the DNA vaccine were published Sept. 22 in the journal Science.